Here’s proof that construction workers aren’t just tough guys. 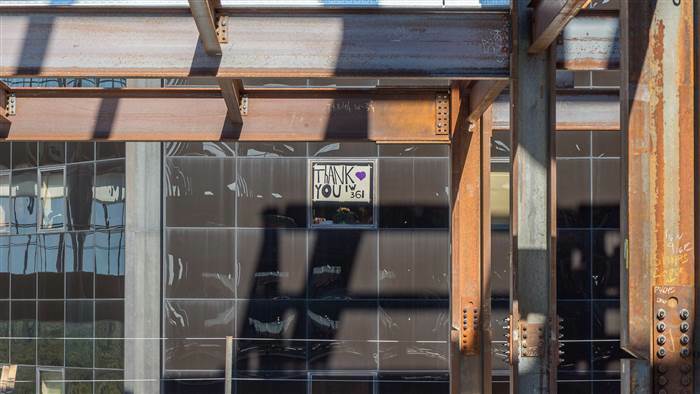 A group of iron workers in Long Island, New York, painted “get well” messages on steel beams to cheer up the children who could see them from their windows at the hospital they were working alongside. 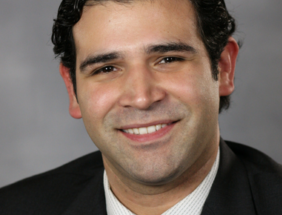 “It’s remarkably touching,” Dr. Ken Kaushansky, dean of Stony Brook University School of Medicine, told TODAY.com. He explained that construction is underway next to the existing facility for a new children’s hospital. 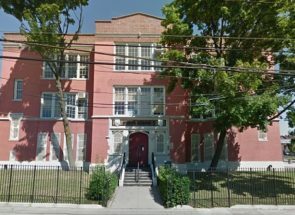 The first message was written by a worker whose child was a patient at the hospital, and who then responded by writing a “thank you” note and putting it in her window, he said. That prompted a second message from the iron workers, this time sending well wishes to all the patients at the hospital. 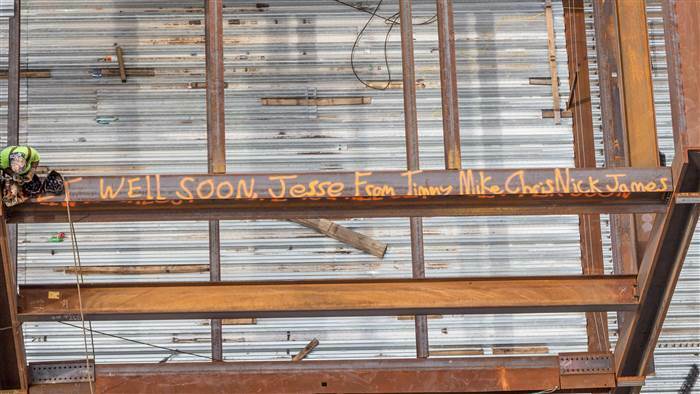 The messages went up right before the hospital held a “topping off” ceremony on July 24, to celebrate the final beam being installed for the soon-to-be Stony Brook Children’s Hospital, a multimillion-dollar expansion for pediatrics. 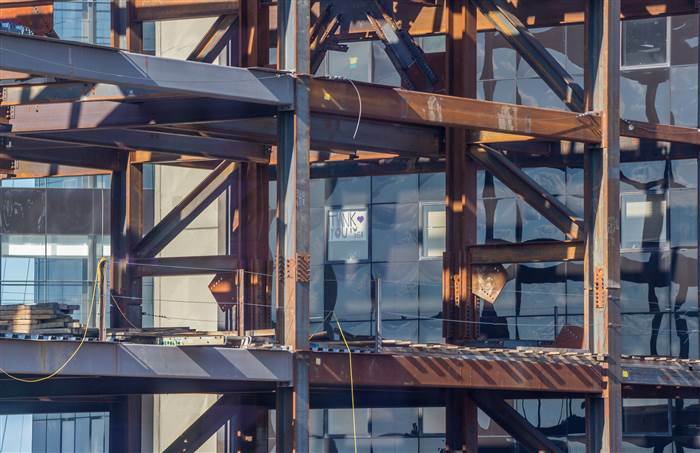 “Unfortunately, when we finish the building, we won’t be able to see them,” Dr. Kaushansky pointed out, adding that for now, the messages are a sign of hope for kids in the hospital. The beams on which the messages were written face the pediatric floor in the existing hospital. 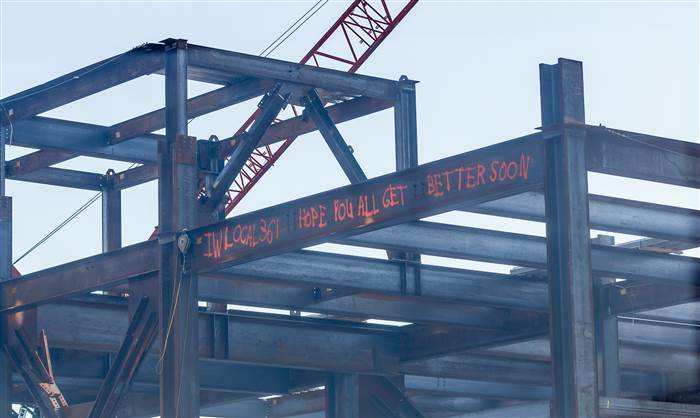 Mark Swanson of The LiRo Group, a construction company in Long Island that’s managing the hospital project, said he had no idea the workers were going to write the messages. Today News, Rheana Murray. View original story.